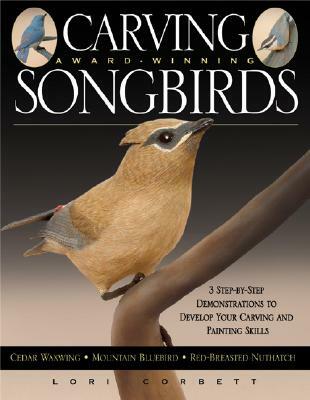 This handbook provides all the tools and guidance needed to carve and paint realistic songbirds, including an overview of carving tools, materials, and safety. An in-depth look at carving techniques covers bandsawing basics and songbird anatomy, including instructions on carving the torso, head, and feathers. A special section focuses on the difficult task of carving the legs and feet. Three projects, the Mountain Bluebird, the Waxwing, and the Red-Breasted Nuthatch, feature natural history notes, male and female measurements, patterns with step-by-step instructions and progressive photographs, and paint-mixing charts.